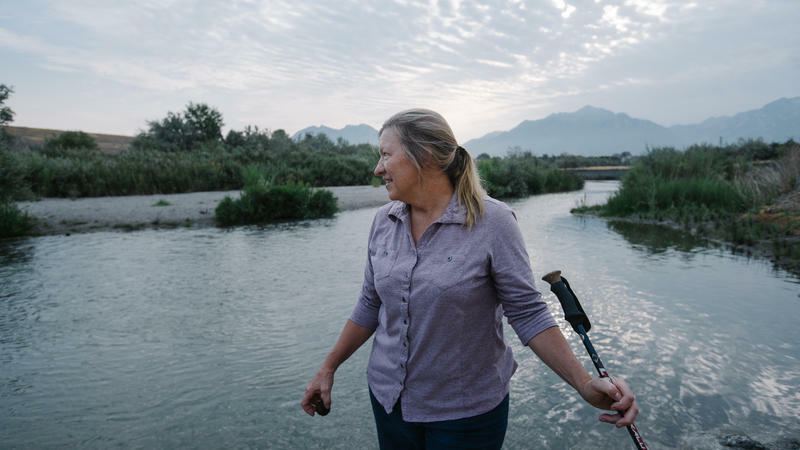 Chris Cline, an environmental toxicologist, has been working for nearly two decades on plans to restore 68 acres on the Jordan River in West Jordan. Cline is leading the transformation of this blighted 68 acres of West Jordan riverfront that, in a few years, will be a riparian nature preserve and recreation area. As it stands, the lot is just across the river from the pile of Superfund cleanup waste from the Midvale Sharon Steel site. That cleanup, along with one at the Portland Cement Superfund site in Salt Lake City, is contributing roughly $805,000 for the restoration under the federal government's Natural Resource Damage Assessment program. On the horizon, the mound of waste from the Sharon Steel Superfund cleanup in nearby Midvale is visible. The line of trees just below the pile is where the Jordan River was diverted to make way for the waste, which is capped with boulders, clay and vegetation. More of the total $2 million to $7 million for the Big Bend Habitat Restoration Project is coming from federal, state, local and nonprofit partners. Funds are still being raised for some portions of the project, said Cline, whose job at the U.S. Fish and Wildlife Service includes restoring contaminated landscapes. With that support, Cline's vision is that once again a healthy, meandering river dividing the lot, with wildlife habitat on one side for birds, beavers, foxes and native vegetation like Cottonwood trees. The other side will be devoted to recreation, with a 4-acre community fishing pond, the bike path and other recreational amenities. "You'll be able to see birds flying around back and forth," said Cline, describing how she imagines the area looking in about five years. "You'll be able to canoe down the stream. You'll be able to get out of your canoe and get out of the river here. You can get to this place from the Jordan River Trail." The public will be invited to comment on the proposal beginning Sept. 20. Mark Holden, executive director of Utah Reclamation Mitigation Conservation Commission, said the project area was wild and natural until about 70 years ago. "The river had many meanders to it, wide side channels and oxbow wetlands and so forth," he said. "And then, over a period of years as the area was developed for industrial purposes, the river became channelized and straightened and locked into its location by dikes and levees." The stony river channel around 8600 South in West Jordan shows how the Jordan River was straightened to prevent meandering. The Big Bend Restoration Project plan calls for bringing back the river's squiggly path to foster healthy habitat for birds and other wildlife. Restoration Project plan calls for bringing back the river's squiggly path to foster healthy habitat for birds and other wildlife. Holden's agency has a mandate to reclaim natural landscapes that have been damaged by development. With migratory birds in mind, the commision purchased 43 acres next to the waste pile in 2000. Now the restoration plan calls for the Jordan River to be rerouted and returned to a more natural path across the 68-acre lot. Instead of a right angle at the Superfund waste pile, the river will squiggle along a half mile through the middle of the site. "This project really represents an opportunity to try to put back at least a semblance and a small portion of that type of ecosystem that's been degraded over the years," said Holden. 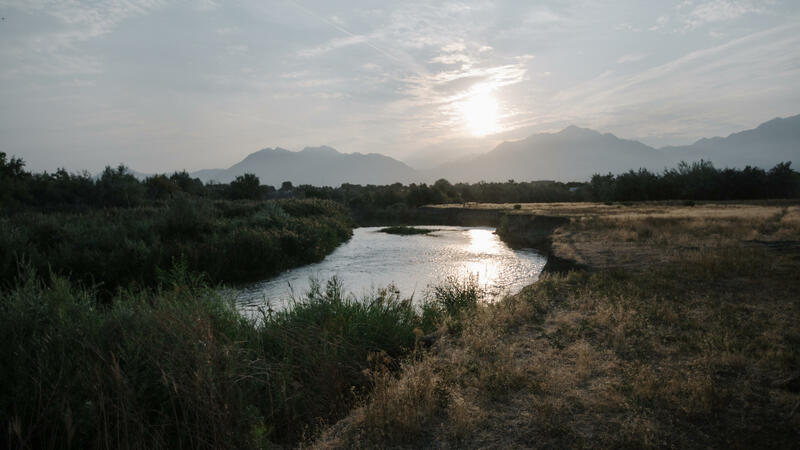 "And it's one of the few remaining reaches really of the Jordan River and Salt Lake County where we have such an opportunity." The neglected landscape is bounded by the Sharon Steel Superfund pile in the north, industrial buildings on the east, 9000 South just below its southern boundary and the Jordan River Trail on the west. 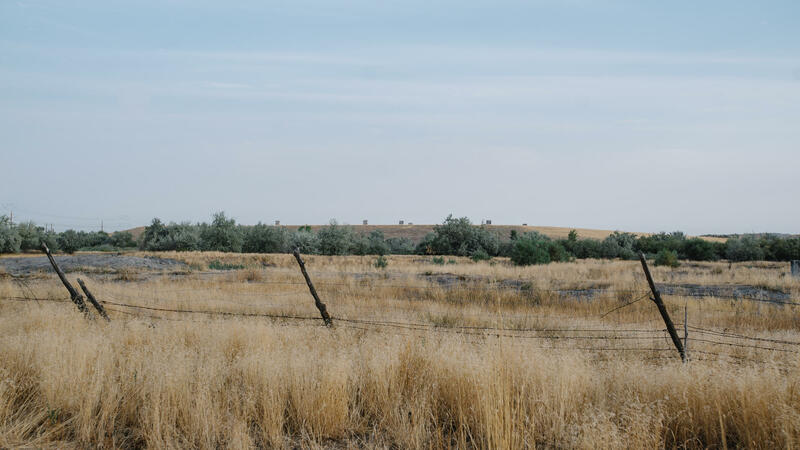 The city of West Jordan also bought 25 acres for the restoration and will eventually control and manage all of the property. But nearly four dozen government agencies and nonprofit organizations have been involved in Big Bend planning over the past two decades. "This is definitely not a situation where the federal government's coming in and imposing something on local communities," said Holden. "It's very much the other way around." Besides creating habitat, the project will also solve some practical problems. It will restore the natural floodplain to capture overflowing river water after storms. And, by eliminating the river's right-angle bend, the project will also end erosion that's already consumed about one-quarter acre of the streambank. Looking toward the "big bend" at Big Bend, damage is visible from channeling the Jordan River. Basically, the river bounced off the rocks bolstering the Superfund waste on the left side of the river and cut into the right streambank. That erosion would end if the river is allowed to meander once again. In effect, restoration would transform an eyesore into a community asset. 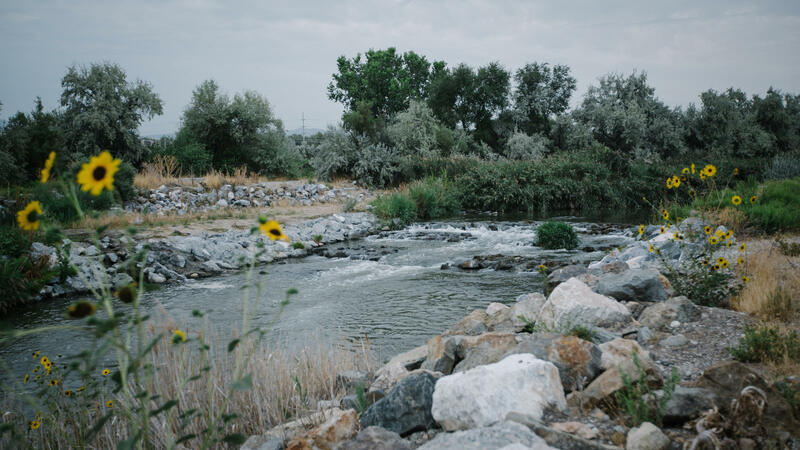 That's a motivation that Holden's seen over the past last decade or so, as Utahns have started recognizing the vital role of waterways like the Jordan River. Wendy Fisher, executive director of the nonprofit Utah Open Lands, also understands why projects like this are treasured in an increasingly urban world. Her organization, which is not involved in Big Bend Project, has helped protect 60,000 acres statewide. She said recreation and scenic beauty draw people to Utah, so losing open spaces means losing economic vitality. "Our landscapes are dramatic — they're inspiring, and they feed us, heal us and give us a place to recreate," Fisher said. "We lose that and we lose a part of ourselves." Jordan River Parkway Trail, A New State Park? 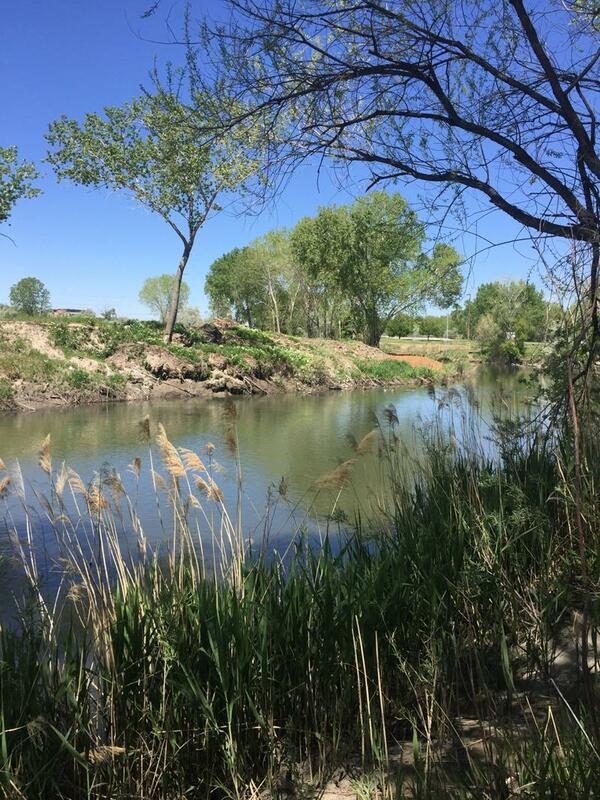 A Utah State lawmaker from West Valley City wants to turn Jordan River into a state park. Representative Mike Winder says it would kick start major restoration efforts and thwart illegal activities along the corridor.